This message button is a great conversation starter. This 1-3/4 x 2-3/4″ button makes it clear its wearers are secure in their own beliefs, thank you! Classic pin back. It’s made in Ohio from American-made components, and there are nice discounts when you order more. We paid extra for a “soft touch” matte surface — no shiny glint on this one. And frankly, it even feels great! 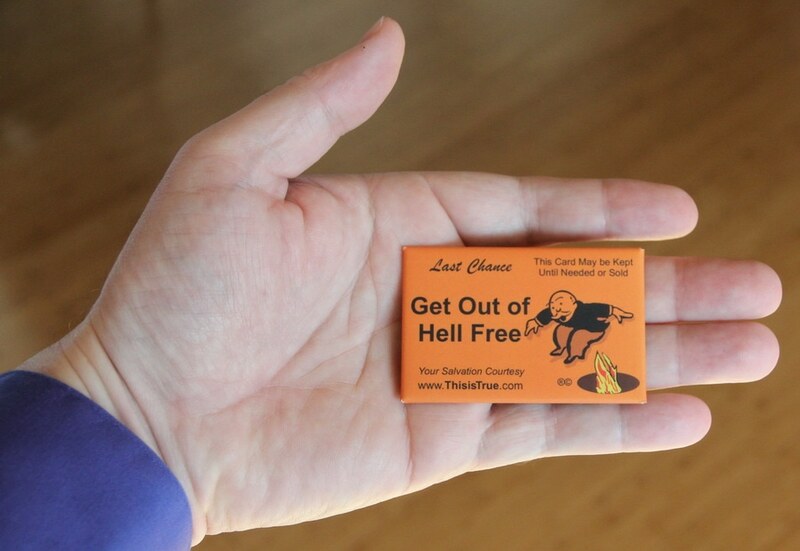 Be sure you have plenty of GOOHF cards on hand: when people see your button, they’ll want one! 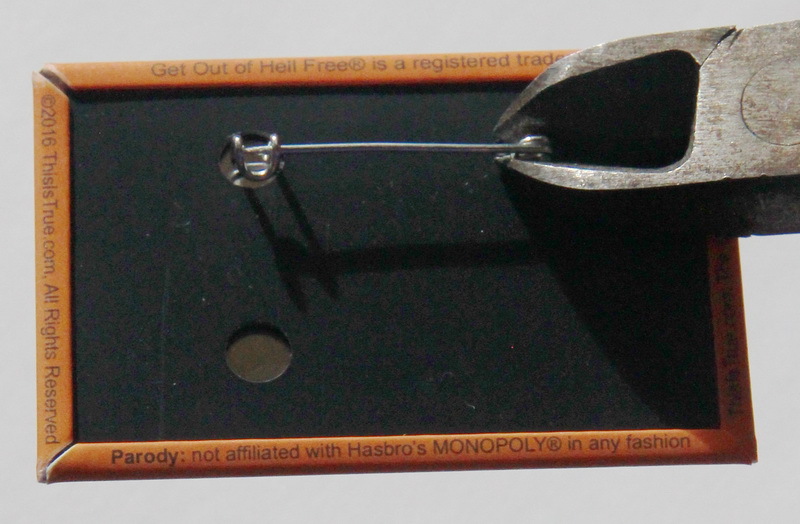 You can clip off the pin if you want to use a magnet. Add Magnets? Ceramic disk magnet makes the button stick to your fridge or other metal surface. (To make it lay perfectly flat, you may want to use cutters to remove the pin.) Just say how many you want with the optional pulldown at $1 each. Product Warning: These are pin-back …well… pins. By their very nature, pins are sharp, and you could poke yourself if you’re not careful …or are an obliviot. Heck: you could put your eye out if you’re a world-class obliviot! By ordering, you assume all responsibility for proper handling of this hugely dangerous item. And the optional magnets? Don’t swallow them, or let your kids do it: dire consequences may result. You have been warned. 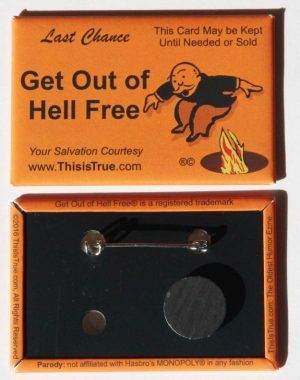 ®”Get Out of Hell Free” and “This is True” are registered trademarks.